BUYING FROM A P.O. BOX OR WEB ONLY PRESSURE WASHER OPERATION!! This is obvious with most any purchase, especially when buying expensive pressure wash equipment. A company with a P.O. Box has very little investment. Where will they be tomorrow, come warranty time? You want to deal with a company that has experience, parts and service personnel. Before you buy, ask yourself the question: Will this company take care of my future needs? DON’T BUY 12 VOLT POWERED BURNER POWER UNITS!! Before you buy, ask how the burner is powered. Yes, perhaps you will save money on the initial purchase of a 12 volt system, but you will need the money you saved for the future repairs! 12 volt units draw their power to run the burner system from the battery. The engines diodes recharge the battery. The problem is that the diodes do not generate enough amps to keep up with the burner. As a result the fan motor slows down and the heating coils soot up from the lack of air flow. This huge engineering problem creates a mess and requires the coils to be cleaned more often. Vibration, operator controls, elevation, engine RPM all affect the engine diodes and we haven’t seen any other system that is reliable! The pressure wash equipment we build all have their own separate generators – producing 115 volts to power the burner system! Obviously a 115 volt system with its own generator has 10 times the voltage and therefore is 10 times more reliable in operation. BUYING FROM A FRANCHISED BIG NAME PRESSURE WASHER DEALER!! Are franchised brands the best? Unlike Power Wash Trailers Direct, most major brands are owned by foreign companies. Ask your local dealer where their equipment is manufactured? If it is made outside the United States, do you really want to buy a foreign made machine??? When you buy from Power Wash Trailers Direct, (1) we build with components that are non-proprietary, meaning they are not private labeled (2) our components are readily available in the market, therefore you can obtain service and parts nearly anywhere, rather than being “tied -up” to a dealer. The bottom line is: we are not a franchised company paying franchise fees or offering one line of proprietary equipment. We are a U.S. based/owned company and when you buy from Power Wash Trailers Direct, you deal directly with the factory and distributor. BUY A PRESSURE WASHER THAT IS ENGINEERED FOR EASY SERVICE!! Ask your dealer for a written warranty. CHEAPEST IS NOT ALWAYS THE BEST!! Don’t buy cheap if you want quality! If you are using your pressure washer for heavy duty cleaning, say at a construction site, or most commercial applications, don’t buy a light duty consumer pressure washer it just won’t hold up. Make sure you purchase a pressure washer that will fit your needs and application. With over thirty years experience as an industrial cleaning equipment contractor and supplier Power Wash Industries is here to help you grow your power washer business regardless of its current size. 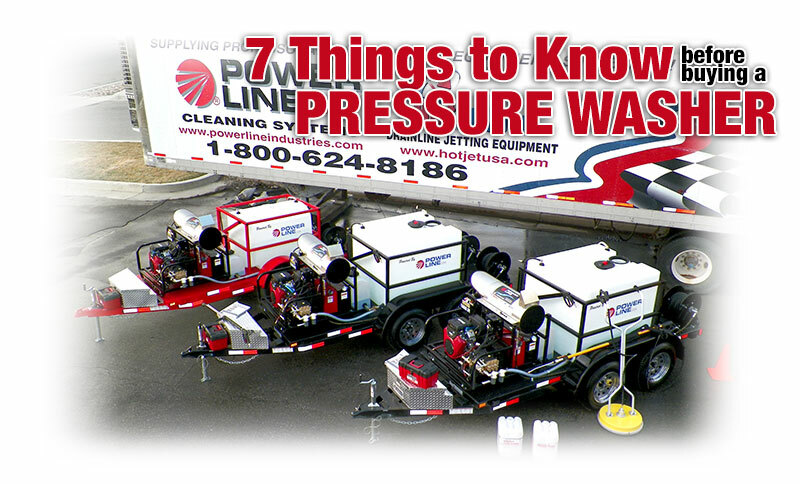 We have a knowledgeable staff that is available to answer any question about your pressure washer business. Our pressure washer trailers are built to your specifications. We build custom pressure washing equipment. Our high pressure mobile pressure washer trailer equipment is heavy duty and built to last even when it is pushed to the limit.